Whenever you get a feeling that something is going the wrong way or you need some counseling to come out of a problem, you would approach a person who might help you solve the problem. If that counseling involves Divine intervention, then it is called Divination. There is not much difference between Divination and Fortune Telling. Divination involves divine intervention, as the name suggests, while Fortune telling depends on the experience and knowledge of the teller. A person performing a method of Divination should follow certain religious or spiritual rituals and should establish a contact with the divine spirit, in order to predict the future of the querent. 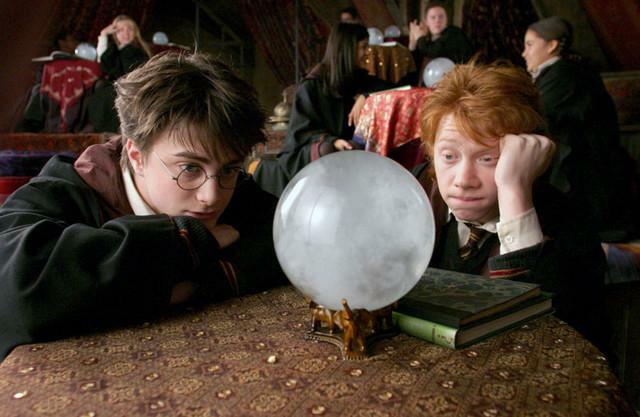 You might have seen divination in a number of movies, including the famous Harry Potter. In fact, Divination was a major of study in Hogwarts Magic School (Hogwarts is a magic-teaching school in the Harry Potter series). Divination started as early as man started worshipping nature. And it was famous in pagan religions. Greeks used to have Oracles, who were stationed at Delphi. Kings and noble men had travelled to their caves and got their future read to them by the Oracle. But they were very few in number and so Seers took up their place. It was a common practice in Greece to consult a seer on battlefield or camp as to what approach would be fruitful to the king in the battle. The seer would perform a method of divination, mostly beheading a lamb and reading its behavior post-death to predict the future. One can predict their future by throwing pebbles into the water and by observing the ripples. This method of Divination is called Hydromancy. Favomancy is a method of Divination followed by Russian seers who used to read the future by throwing beans on the floor and reading its pattern. But the famous method of Divination is Necromancy, which involves communicating with the dead ones and summoning them as spirit to tell the future of quester. Ailuromancy is the divination method where the movement and jumping of cats were used to predict weather. Another famous method of Divination is Chiromancy popularly called as Palm Reading. This method is one of the most famous ways in India, where people consult palm readers for their future and their marriage prospects. Palm readers would go through the important palm lines of the Querent and predict his future in 2017. Fortune telling is more similar to Divination, but a fortune teller does not need any Divine help to foretell the future of the quester. He might need to have good knowledge of the practice and more experience. Since this involves less religious rituals to be performed, it is practiced by most of the people around the world. Fortune telling started with the Gypsies, a sect of the North Indians who migrated to the Europe and later to rest of the world, centuries ago. One of the most famous methods of Fortune telling is Astrology. Astrology involves calculating the movement of planets and stars. This is nothing but traditional Astronomy and astrology was used to calculate even the eclipses accurately. Position of the planets and other heavenly bodies were drawn during the birth of a person and that is used to predict his future. This is one of the most widely practiced methods of fortune telling in India. A method of Fortune telling in which the teller uses Cards to predict the future is called Cartomancy. Clairvoyance is also a form of Fortune telling, in which a person can gain ability of gathering knowledge about a person or object by using extra sensory perception (ESP). 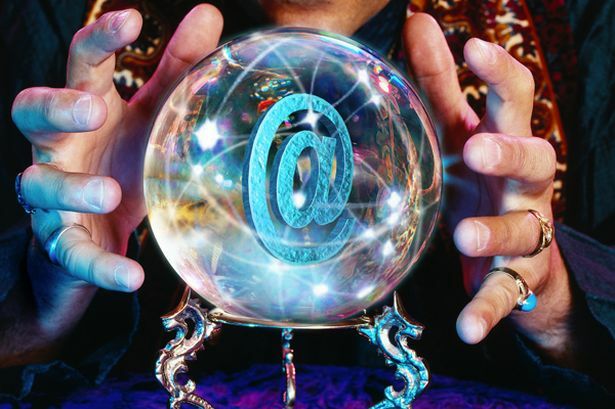 You might have seen people gazing into the crystal ball and finding out what would happen to them or what is happening somewhere. This method is called Gastromancy or Crystallomancy. The method that Professor Trelawney teaches in her Divination class is called Tasseography, which involves reading the pattern of tea leaves or coffee in cups. Another famous method of Fortune telling is Numerology. This involves altering the name or naming a newborn kid based on the mathematics behind the alphabet. People depend a lot on numerology to take their day-to-day decisions. Well, now you know what differs Divination from Fortune telling and what its various methods are. Try our various Divination/Fortune telling tools for 2017-2016 today!